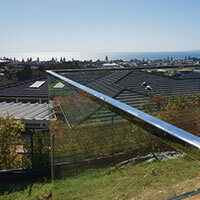 Mini-posts are a minimal profile fixing method for frameless style glass fencing in either interior or outdoor environments. 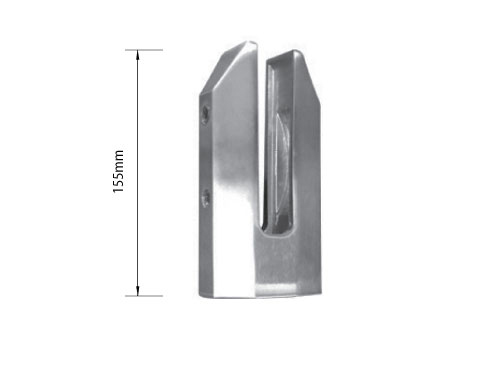 With a range of fixing options, including surface mounted or side fixed. Mini posts raise the glass above the ground to allow water, leaves and debris to escape. Mini posts are sleek, smart and unobtrusive. 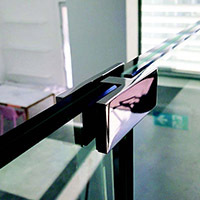 They keep a 'frameless' glass appearance and can be face fixed or down fixed. A handy feature if both balustrades and pool fencing are required in a property. Mini posts can be matched to maintain a design flow.. Indoors and outdoors. Mini posts are manufactured from tough, long life 2205 Duplex Stainless Steel to withstand harsh coastal conditions. When installed by our experienced team of tradies, you're looking at a balustrade build worthy of the best homes in Auckland. 2205 Duplex Stainless provides the best outcome for structural integrity and a long service life. In harsh coastal conditions. Available in satin stainless and polished stainless as standard with a selection of custom powdercoated finishes possible by request. The same style mini posts are available for balconies, staircases and pool fences and in both top-fixed and face-fixed options. Matching hardware indoors with outdoors isn't a problem. Handrail, clips and brackets are co-ordinated to suit the style of the mini posts.